Handling and investigating cases entails effort, for some, it takes a village. Collaborating across multiple agencies can get tedious. 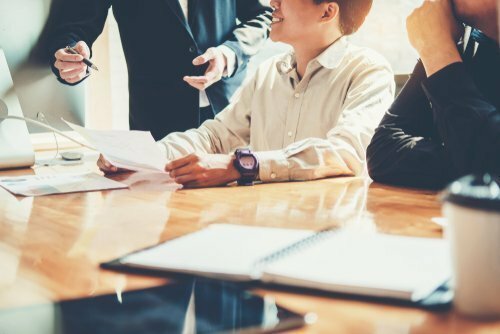 At times, one might wish that all the stakeholders can just sit at one room to discuss everything instead of having to email, call, and coordinate with each separately. Multi-disciplinary teams (MDTs) are designed with this in mind, to make the bureaucratic process and resolving cases flow more smoothly. 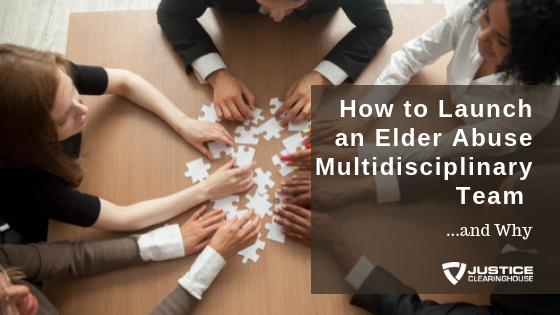 To talk about New York state’s Enhanced Multi-Disciplinary Team (EMDT) initiative to deal with their elderly cases, Lindsay Calamia and Peg Horan join today’s webinar. Lindsay Calamia is an EMDT Statewide Coordinator at Lifespan of Greater Rochester. She provides consultation, outreach, training, and technical assistance to newly developing teams across New York State and supports existing ones. Peg Horan is a social worker and is the Elder Abuse Prevention Specialist MDT Coordinator for the New York City Elder Abuse Center (NYCEAC). Topline statistics showing the prevalence of elder abuse cases including elder financial exploitation based on the Under the Radar: New York State Elder Abuse Prevalence Study. What a Multi-Disciplinary Team is. A brief history recounting the events from the early 2000s to present that led to the forming of the state’s first elder abuse multi-disciplinary teams. A map that illustrates visually the progress of the reach of New York’s elder abuse EMDT initiative and the factors that contributed to its implementation. An overview of the MDT models describing their characteristics and functions. How the MDT model is being implemented in urban, suburban and rural regions. What an Enhanced Multi-Disciplinary Team is, and what features make it enhanced. The benefits of working in EMDTs, the composition of the team, and the roles that the team members play. Getting started to form an EMDT by assessing readiness, recruiting members/representatives, meeting with stakeholders, addressing the issues and practicing model partnership. For the staff that gets better support, validation and utilizes a better network and resources. For the victims that get faster response, streamlined services, and more options. A rundown of the fundamentals necessary for an EMDT’s operations from case management, logistics, communications, data collection, and evaluation. A snapshot of what transpires before, during, and after an EMDT meeting. The characteristics that make a case more likely to be handled by the EMDT and resources to help launch one. The roles of the EMDT coordinator including cases, meetings, training, data management, and network building.